Breakfast on the Bridge is a great start to Crave month long food festival. NSW Events launched their 2011 calendar during the month and we have compiled the best so you can plan your year. Sydney is at its best when the Festival rolls around, beautiful long summer days and loads of entertainment and most of it free. From the Rocks Markets to performances in Hyde Park or the Opera and Jazz in the domain, Dec 31 to Jan 31 is the best time to be in Sydney for any traveller. The international launch of the new musical in February and the national debut of Mary Poppins in May is actually a big deal. Not only is it reversing the trend of shows going to Melbourne first and then onto Sydney (think Jersey Boys and Wicked) but the international premiere of Dr Zhivago in Sydney is a good effort. But you never know, the best performer of all could be Legally Blonde, the Musical, which is also set to debut in Australia in Syd in 2012. 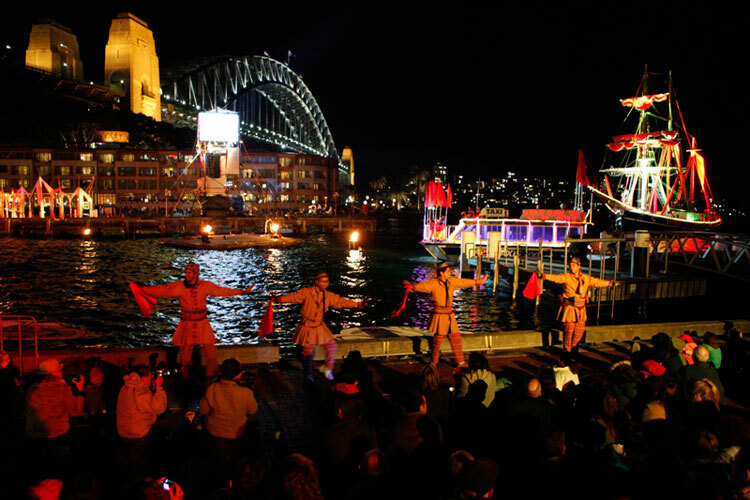 Created two years ago by Events NSW, the winter festival’s signature moment is the lighting of the sails. A great photo opp that is seen around the world the event is for the cerebral amongst us being all about creativity, light and performance. 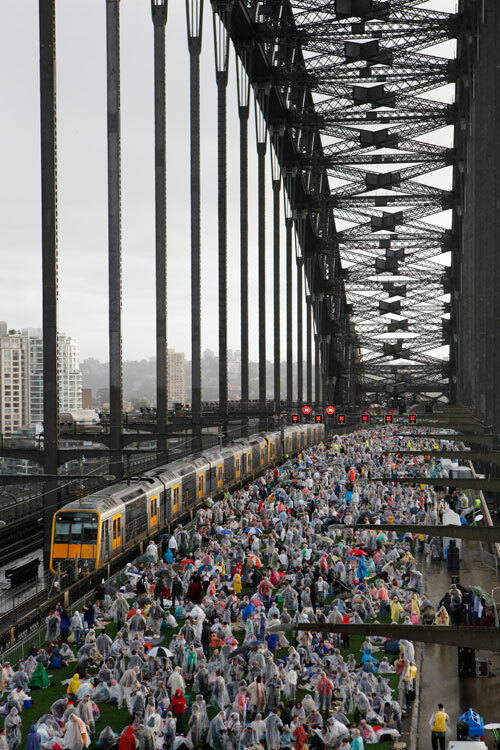 Also created two years ago by Events NSW the iconic moment is the Breakfast on the Bridge. Throughout October the foodies come out to raise pinkies and talk a soupcon of this and laddie dah that. But it tastes great. Highlights are the number of chefs conducting classes and the Hyde Park Noodle Markets. The largest collection of Picasso paintings ever to be shown in Australia will arrive at the NSW Art Gallery. Probably a little scoffworthy for the purists (“He was prolific, it really is meaningless”) it will be a bockbuster that will have some black skivyy’s elbowing their way to the top of the queue. 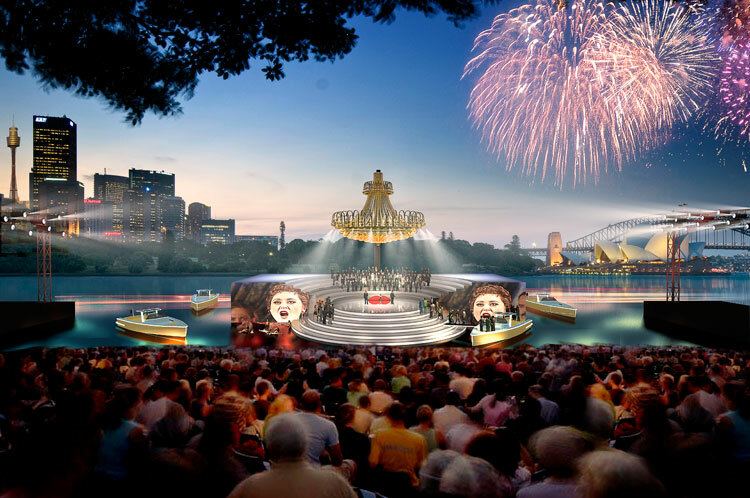 Probably the biggest announcement is the Opera on Sydney Harbour. A massive stage will be built on the harbour off the Royal Botanic Gardens where Opera Australia will stage their productions. Starting March 24th for a season of 22 performances it is the most exciting new development for the city in the future.